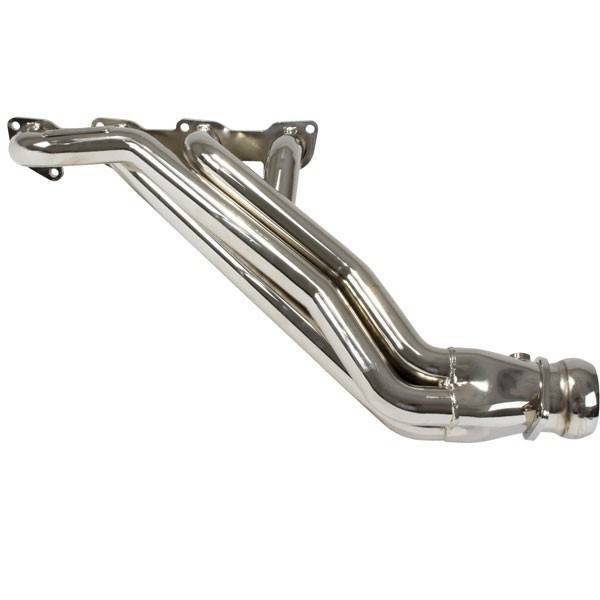 BBK Performance Long-Tube Headers & Mid-Pipes for 06-19 Chrysler 300, Dodge Challenger, Charger, & Magnum 6.1 SRT8 & 6.4L 392 1648 / 16480 / 16481 / 16482. 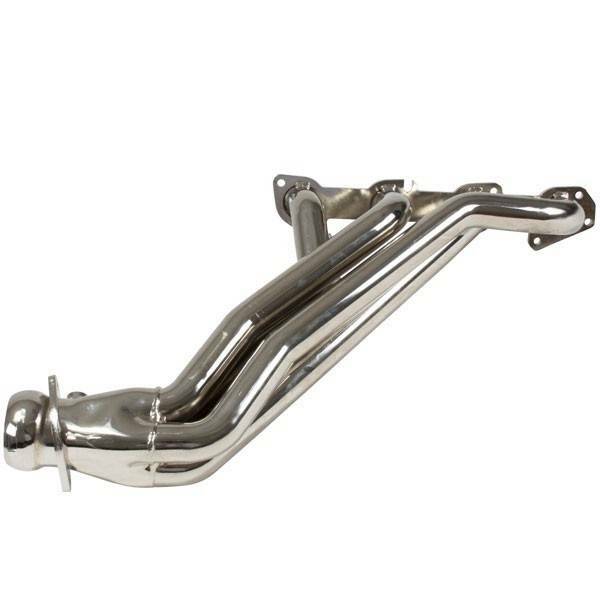 BBK 6.1L/6.4L Hemi Long-Tube Headers are availale in Chrome or Silver Ceramic & Mid-Pipes are available with or without High-Flow Cats! These parts are not legal for sale or use in California or any state that has adopted California emissions standards. Please check your state and local emissions laws to ensure compliance. For off-road use only. 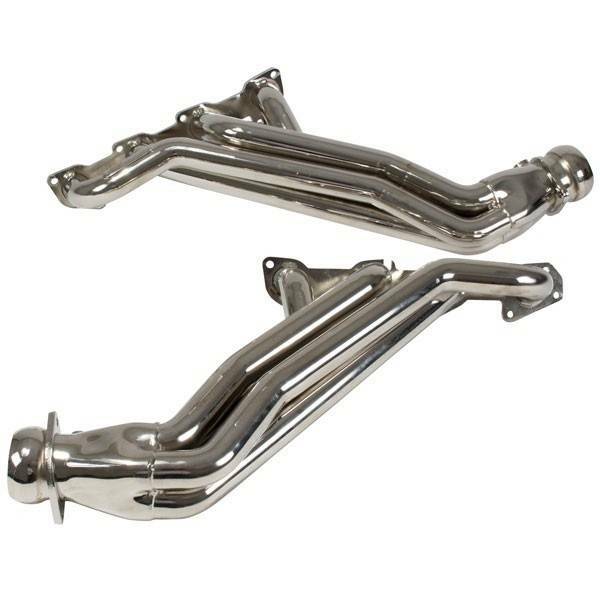 Significantly increase the horsepower output of your 2006-2019 300, Challenger, Charger or Magnum 6.1L SRT8 or 6.4L 392 with these BBK Performance full length headers. BBK Performance full length headers will increase your exhaust flow giving you additional horsepower and torque. These full length headers will help give your engine a throaty exhaust note. BBK Performance full length headers are made from 1-7/8" CNC-machined mandrel bent tubing with 3/8" thick die-stamped flanges. The full length primary tube design creates unrestricted airflow for ultimate horsepower gains. 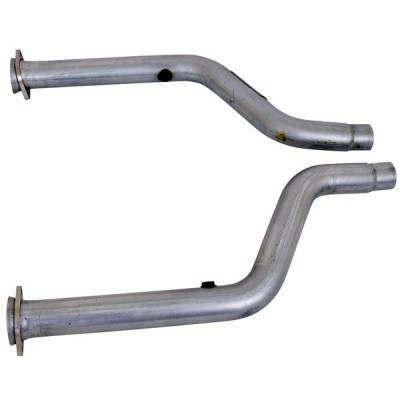 These headers are pressure tested to ensure leak free performance on your Hemi powered modern muscle car. 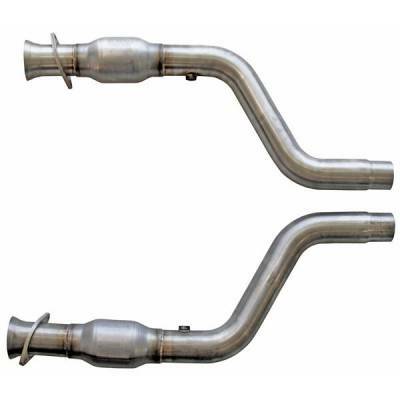 MUST BE USED with the matching midpipe (#16481 or 16482), making them a BOLT-ON with stock or aftermarket catback exhaust kits. 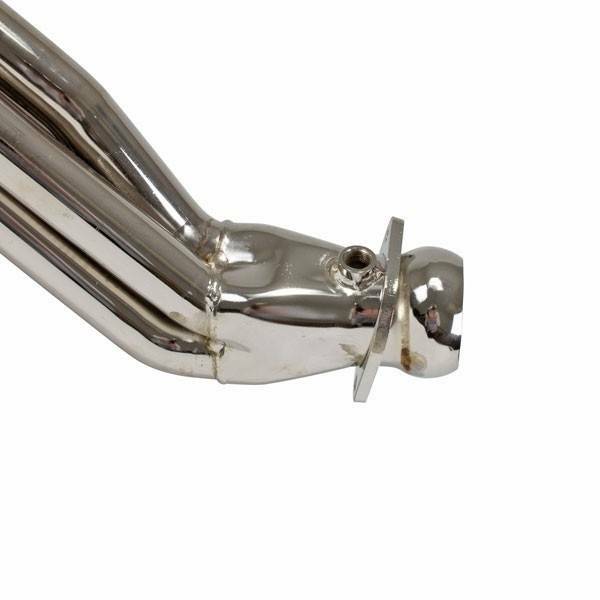 These short BBK mid pipes are manufactured from 3" CNC mandrel bent 304 stainless steel and available in straight pipe off road version or a high flow steel substrate catalytic converter version. 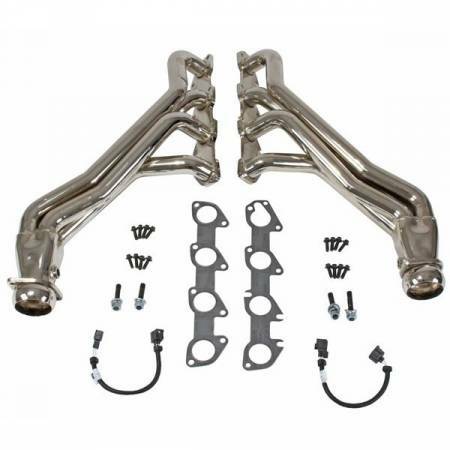 They are required to complete the installation of the BBK 300, Challenger, Charger, Magnum with 16481 or 16482 series 6.1L SRT8 or 6.4L 392 Full length long tube headers. WE RECOMMEND PURCHASING THE BBK LONG-TUBE HEADERS, MIDPIPES & O2 HARNESS EXTENSIONS FOR COMPLETE BOLT-ON INSTALLATION. IF HEADERS ARE PURCHASED INDIVIDUALLY, FABRICATION WILL BE REQUIRED. 6.1L / 6.4L HEMI LX/LC VEHICLES RUNNING BBK LONG TUBE HEADERS (PN's 1648 or 16480) & MIDPIPES (PN's 16481 or 16482) REQUIRE O2 EXTENSION HARNESSES FOR BOLT-ON / PNP FITMENT.